Martin and director of digital media Sarah Russell work on behalf of Azusa Pacific University, a private Christian college in southern California. 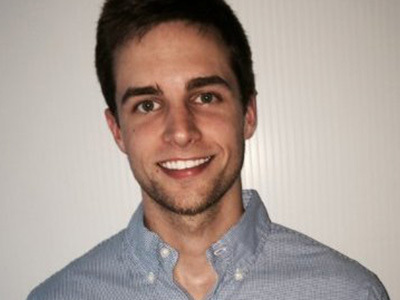 At the other end of the spectrum is Adam Lewis, a senior digital media buyer for Keypath who works on the Beauty Schools Directory (BSD) account, helping prospective students find the ideal beauty or cosmetology school. In-between are more than 4,000 higher education institutions, united by Keypath’s mission to meld the student experience with the future of the education industry. Through questions and answers, queries and results, trial and error, Keypath is reaching students worldwide — and learning a few things about how to create a successful SEM strategy. I feel like I’m moving the needle every day. Just as any self-respecting student may show up to class with a laptop, writing utensil and notepad, the people at Keypath are thankful for the tools and features that Bing Ads provides. In 2016, Russell and the account team noticed a drop in brand performance on the Azusa Pacific University account. Observing that the 118-year-old, nationally ranked college was suddenly confronted with spikes in cost per lead (CPL) and cost per click (CPC) while monthly brand performance was dwindling, it was suspected that the culprit might be poor keyword coverage. Collaborating on the best strategy to drive an increase in brand performance — while keeping CPLs and CPCs low — Russell and the Bing Ads team determined that the brand terms driving high CPCs were mostly broad ones. Continuing to question the established methods, an effort was made to tinker and test. By adding broad match modifiers to the existing brand terms, Azusa was able to capture more relevant traffic and lower CPL and CPC. The Keypath team saw an upward trend in results in less than two weeks, giving them confidence that they were indeed on the right path. Rather than one particular university, Lewis concentrates on hundreds via BSD. But much like his Keypath colleagues, he recently found himself questioning established methods. “The biggest challenge is driving volume at a CPL level that's acceptable for us,” he explains. When Lewis collaborated with the Bing Ads team on a solution that would test mobile bid adjustments, it was important that they could do so in a controlled manner while measuring the impact not only on CPL, but also KPIs like spend and lead volume. Driven by the discovery that the platform they use for mobile bidding on other search engines didn’t handle Bing, Lewis designed something undergraduates typically dread: a test. Using a tiered approach based on mobile average position, Lewis boosted the ad group level mobile bid adjustments in the BSD’s top-spending campaign. An 83% decrease in CPL month over month. A 9% increase in overall brand conversions from the previous month for the same time frame. 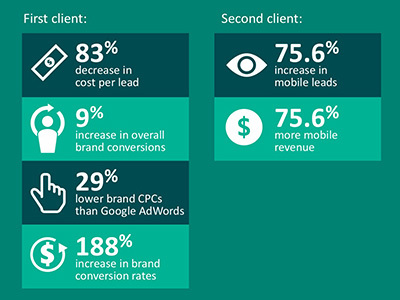 29% lower brand CPCs than Google AdWords. A stunning 188% increase in brand conversion rates with Bing Ads compared to the previous month. Meanwhile, Adam Lewis was getting his own answers, thanks to the questions he had been asking about what would happen if BSD increased its mobile bid adjustments in Bing Ads. “Things were backing out to a CPL that made a lot of sense for us, given our goals,” he says with pride. A 75.6% increase in mobile leads. Only a 10.85% increase in CPL, well within BSD’s performance goals. As technology experts, student-research purveyors and strategy consultants, Keypath takes pride in doing meaningful work every day, on behalf of higher education institutions and tens of thousands of people looking to further their education. They don’t claim to have all the answers — but they are experts at knowing when it’s time to start asking questions. View or save the inforgraphic to see how Keypath Education added broad match modifiers, resulting in a 188% increase in brand conversions.